The CARD Foundation is pleased to announce its 8th annual BIG SKY BASH Concert, Saturday, July 14, 2018 to benefit the Center for Asbestos Related Disease (CARD). This year’s headliner will be SKID ROW with special guests, The Flathead V8s, Dead Fervor and Devon Wade. The Flathead V8s will kick things off with Devon Wade finishing off the night for our after party following SKID ROW. to say that their music is Good, Hard, American Rock and Roll. 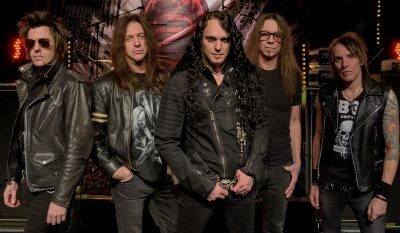 Since their debut album in January 1989, SKID ROW has generated massive radio hits such as “18 and Life”, “Monkey Business”, I Remember You” and “Youth Gone Wild” to their latest “United World Rebellion” trilogy. SKID ROW’s career has taken them from their humble beginnings to headlining festivals with over 500,000 in attendance while Continuing to make music that makes you stand up and put your fist in the air! The Flathead V8s are a classic power trio based out of the Flathead Valley area. Formed in the summer of 2016, they’ve taken the local music scene by storm, bringing their high octane brand of rock and roll to stages all over Montana. The Flathead V8s are: Slaus Brown-Paul – guitar & vocal, Jim Pomper – bass & vocal, & Ric Ohnstad – drums & vocal. They play a wide assortment of cover material, both classic and contemporary, and original material. And there are plans to start recording this fall! The Flathead V8s are tight, entertaining, professional, and bring a little something for everyone to every gig. Devon Wade is an independent country music artist from Sandpoint, Idaho. Devon also enjoys playing 80’s and 90’s Rock. Country music has always been songs about real life and things that matter most in life. Most recently opening for such acts as Jon Pardi, John Michael Montgomery, Sawyer Brown, and a sold out show with Kane Brown, Devon has become known for his strong country voice coming from such influences as George Strait, Clint Black, and Garth Brooks, as well as his lively shows. For more information please call 406-293-9274 ex 132.